Joshua Lathrop, born in 1723, joined his older brother Daniel’s apothecary business after graduating from Yale. The Lathrop brothers were highly regarded in the community. 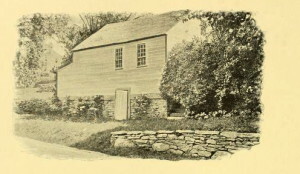 The Lathrop Brothers’ Apothecary shop was successful because it was the only apothecary shop between Boston and New York. In 1776, the apothecary firm changed it’s name briefly to Lathrops & Coit when their nephew Joseph Coit Jr. joined the business, but reverted back the original name with Coit’s death in 1779. Lathrop briefly ventured into cotton manufacturing and enjoyed horseback riding well into his 80s. Lathrop died in 1807 at the age of 84 and was the last man of his generation to wear a white wig. 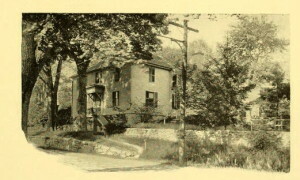 The ap othecary shop where Benedict Arnold worked was on the property and was torn down in 1893. The Joshua Lathrop House is a “double saltbox.